While working on different stuff I was searching for a collection of APIs that are related of useful for security researchers, incident response people or threat intel. Unable to find a good list of REST APIs decided to start it. The collection is hosted on a Security API list, and pull requests or issues mentioning missing APIs are highly welcome. Why did I produce such a list? More and more people want to automate their workflows, Security Orchestration is the new Buzzword after last years Threat Intelligence, but basically containing the same, they both have in common to facilitate already available data, with Orchestration not storing that much data but enriching dots collected. However the challenge is, what to integrate, everyone has their „go to“ tools they use on a daily base risking to miss some golden nuggets that are handy. The list is divided (at the moment) in tools that are mostly on prem., online tools, SIEMs and various. 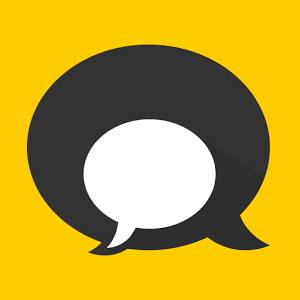 With an increasing number of APIs that ordering might change of course. So I really hope the list is useful and people can use it and that it can grow. 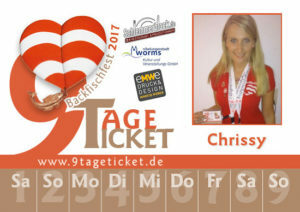 One day to go till the Backfischfest in Worms is starting and we can say, the 9TageTicket this year is again a big success. With more then 650 tickets pre ordered, we are on almost the same level as last year, showing that there is a constant interest in the free tickets that show other visitors the commitment to the Backfischfest. 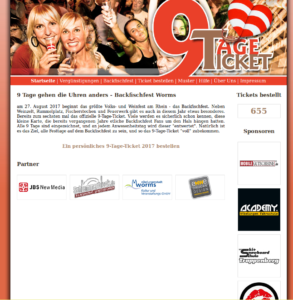 For the first time we will have flyer for the showman explaining the idea behind 9TageTicket. wir freuen uns, Ihnen heute das Amazon Fire TV vorzustellen. Und noch schöner, bis Montag gibt es das Amazon Fire TV für Amazon Prime Kunden zum Vorzugspreis von 50 Euro statt 99 Euro. PS: Das Fire TV bietet neuen und existierenden Prime-Mitgliedern noch mehr. Sie können Tausende beliebte Filme und Serienepisoden mit Prime Instant Video sofort unbegrenzt streamen und erhalten in den nächsten fünf Tagen das Fire TV für nur 49 EUR statt regulär 99 EUR. Since serveral month, many Pis are in use within my network. I am using them for XBMC Raspberry, Syslog Raspberry, Kippo Raspberry Pi, surveillence pi, Nagios Raspberry Pi, Backup Pi a TOR Raspberry pi and of course they are using UPS for power supply. But since some of the use cases are not that trivial, the tech specs of the raspberry are not high enough. But now a new pi is on the road: Banana Pi. Wow! It has gigabit onboard, an faster CPU (with integrated GPU!) , double Sytem memory, is compatible to extension modules of the original Raspberry Pi. Especially for multimedia use cases, like HD (1080p and even higher) streaming the Banana Pi looks quite nice. At the moment, XBMC is not fully compatible to the banana pi, but the bigger the fan group the faster XBMC will work on supporting the new toy. I will try to get one of the boards to get a first impression and will write about it in the future. A good review of Banana pi is available at: http://raspi.tv/2014/banana-pi-review-first-impressions. The author is describing some problems while installation, but I think that is a common problem for new products. One particular complaint is very interesting, he mentioned that the linux SD card image is bigger then needed, because they included free space to the image – what a pitty.